Join us on June 9th for the 2nd Annual Volksfest beanbag tournament! Last year we had over 85 teams and 40 board sponsors. If you would like to purchase a custom board please email GoodhueWrestling@gmail.com by Sunday May 20th. These boards make great graduation, wedding or birthday gifts. 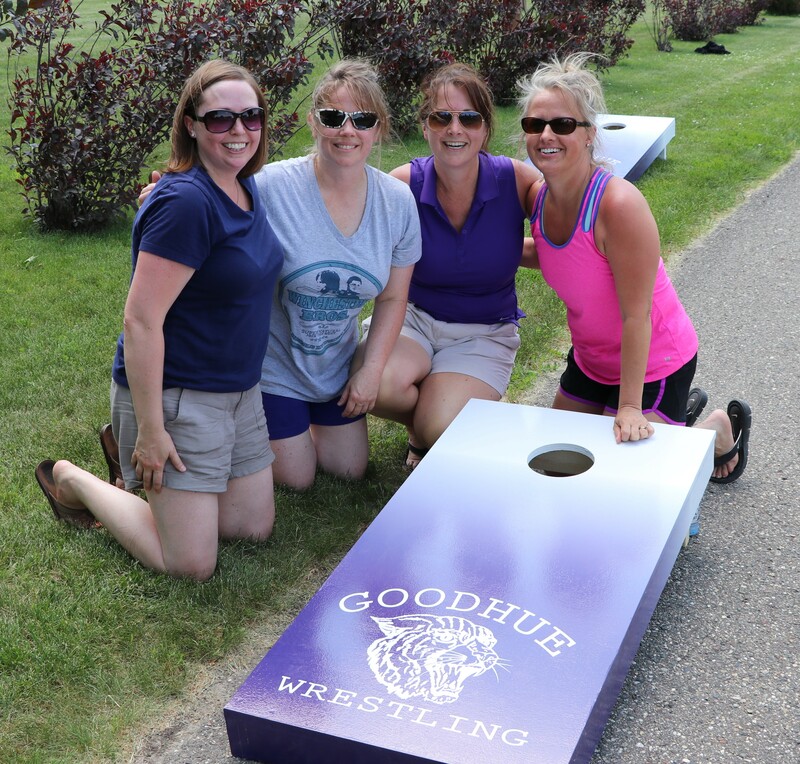 We will also have a limited supply of Goodhue Wildcat boards for purchase. To guarantee a set please place your order by May 20th. Our first year was a great success and we anticipate another big turnout. Preregistered teams are greatly appreciated and we will be limiting the tournament to the first 128 teams. See attached flyers for details if you would like to participate, purchase a set of boards or be a sponsor. 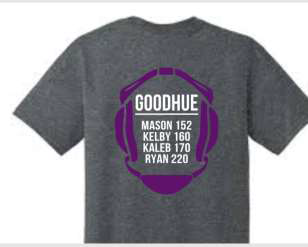 Please contact Goodhuewrestling@gmail.com or 651-253-0681 with questions. We look forward to seeing everyone there! 2018 Beanbag Flyer <—-link to PDF of flyer with all key info! 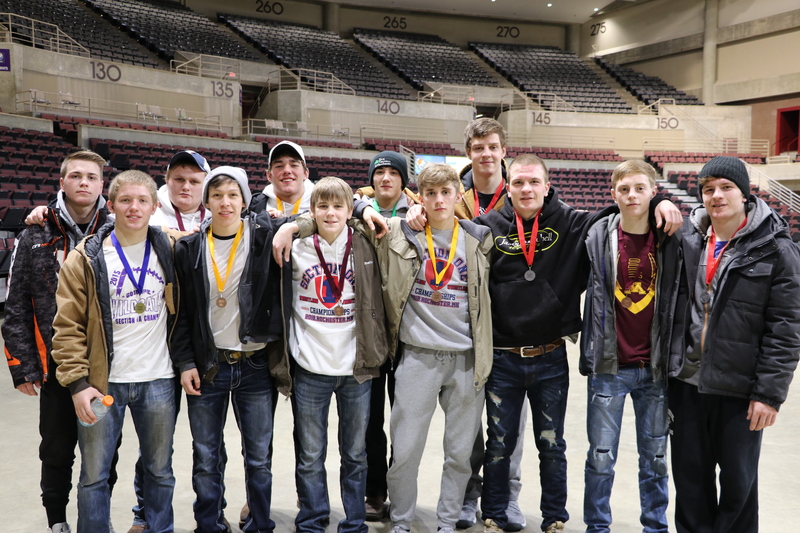 Goodhue opened day 1 of State with a 6-2 overall record. 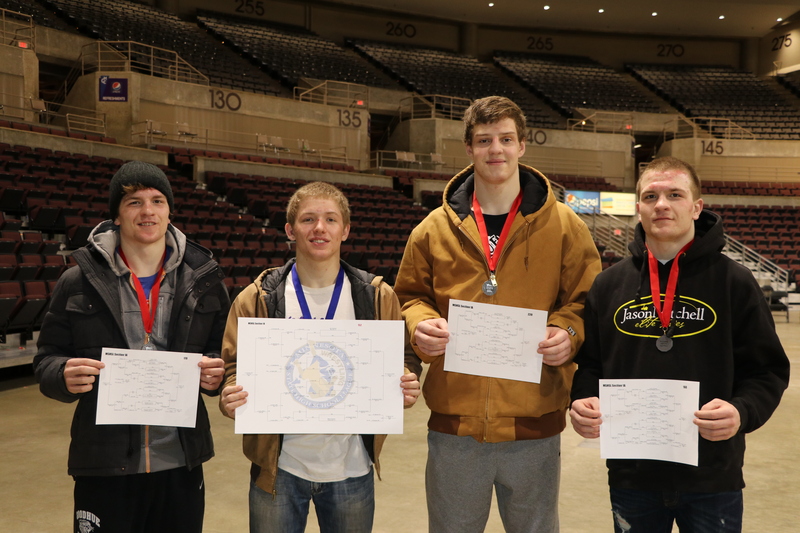 All 4 boys made it to day 2! Mason and Kelby started the tournament off fast, going 2-0 in their first round and quarterfinal matches. Kaleb opened up with a 3-2 win to earn his first victory at state, after going 0-1 in his first appearance in 2015. Kaleb rebounded from a 3OT loss in the quarterfinal with a 9-0 performance in his consolation match. Ryan debuted at State by scoring a takedown on the top seed but got reversed to his back and pinned. However, Ryan returned the favor with a first period pin of his own to close the night. Kaleb and Ryan compete in more wrestlebacks Saturday morning. Mason and Kelby will wrestle in the 10:15 semifinal round. The boys are ready to wrestle. If you’re looking to tune in online, jump on if you haven’t at trackwrestling.com or grandstadium.tv for live steaming ($). If you can’t stream, Track Wrestling has a live dashboard to follow point scoring and positions. Search events for “MSHSL State” and enter the event as a viewer. The matches are coming quicker as the rounds have progressed. Kelby is in the hole on Mat 5. Mason will be coming up on Mat 8. Kaleb and Ryan are a bit out, on Mat 3 and 1, respectively.